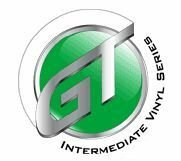 Create your own GT5 INTERMEDIATE 12" X 10 Yard Assorted Color 5 Pack! Pick any 5 colors you want for a total of 50 Yards! You can earn 50 SIGN BUCKS on this product! 3 MIL INTERMEDIATE VINYL/FILM - Intermediate Film is a high quality, UV resistant, fully pigmented film coated with an aggressive, permanent, pressure-sensitive adhesive. Up to 5 year durability and is available in 36 vivid colors with superb cutting, weeding, and transfer characteristics. Comments: Tiny cuts weed remarkably easily. I bought this vinyl for an ongoing project, and I couldnt be happier with it. I will order this again for future projects needing an intermediate vinyl. The option for custom cut widths makes it even better! Comments: Best vinyl company out there. Have ordered several times. Comments: GT5 Vinyl is the only Vinyl I order. Easy to cut and very durable!